As you may or may not know, several types of tubas exist. Each of these has its own tonal properties. Having so many versions of the same instrument can be confusing to anyone. I am writing this guide as a general reference when purchasing or identifying one. Contrabasses are the most common type of tuba today and are the lowest-pitched. There are two types of Contrabasses, pitched in either Bb or C.
The BB-flat Tuba is the most common tuba in the U.S. today and are the largest standard tuba. These are used by many school bands because most other brass instruments used by high schools are also keyed in Bb. They are also used by some professional players. BB-flat tubas are often designed to handle the rough treatment of young tubists and sacrifice responsiveness and tone as a result. 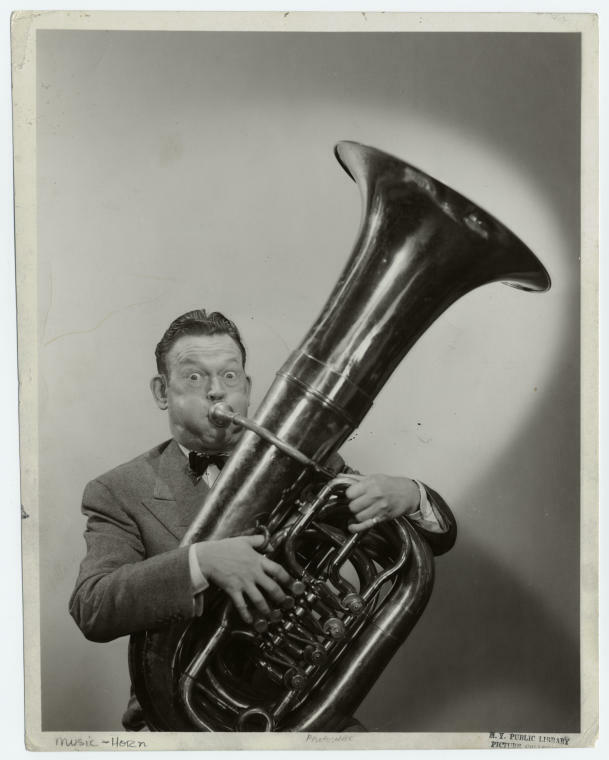 BB-flat tubas are the contrabass of choice in German, Austrian, and Russian orchestras. They are the standard for use in concert and symphonic bands. CC tubas are build a whole step up from BB-flat models. They lack the lowest notes of a BB-flat tuba, although many add extra valves to make up for this. In the US, most professional tuba players play C-pitched tubas. These tubas are easier to play in the sharp keys, allowing them to work better playing in an orchestra (String parts are often written in the sharp keys to make them easier for them). They are build more for responsiveness and not durability. These tubas are typically the next step up for advancing tuba players, at least in the US. However; they are not a necessity. A good BB-flat player can play anything written with a CC tuba in mind. Bass tubas are smaller than the Contrabasses and naturally play higher. F Tubas are used mainly by professional players for solo works and to play higher parts in some older pieces. They are the standard orchestral tuba in much of Europe, with BB-flat or CC tubas used when additional low end is needed. Attributed to and named after John Phillip Sousa, Sousaphones designed for marching. They wrap around the body, resting on the left shoulder and the bell faces forward to project sound into the crowd. They are most commonly pitched in Bb and have just three valves, although some are in Eb. The originals were in C. Just watch out for the wind! These tubas are upright, but have bells facing forward to project the sound. Often seen in DCI competition (Drum Corps. International), these resemble upright tubas but rest on the left or right shoulder, bell pointed to the crowd. These are more awkward than sousaphones and are not common in high school bands. Some upright tubas can be converted to marching tubas with special lead pipes that are interchangeable. This saves bands with low budgets the expense of buying a tuba for each season. As you can see, many types and variations of tuba exist, each with their own purpose in a band. Hopefully this guide will shed some light on these instruments.